13 ½” X 18 ½” serigraph limited edition print (of 500)--historic design and colors. 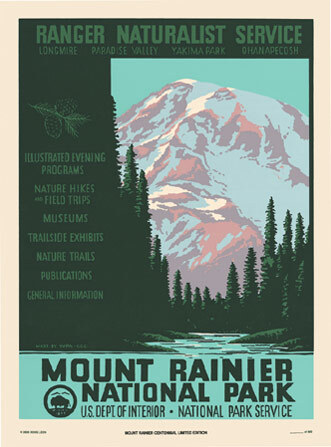 This limited edition poster (of 500) depicts the original WPA colors and screen designs and was republished for Mount Rainier's Centennial in 1999. Only six original posters are known to exist. 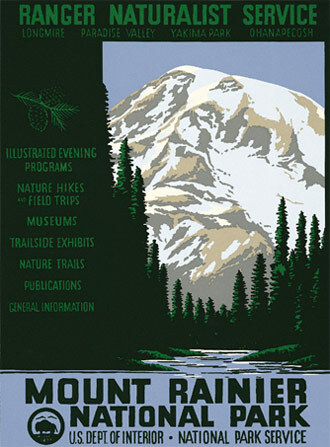 Of the 14 historic posters, only four printed "Made by WPA-CCC" and this is one. 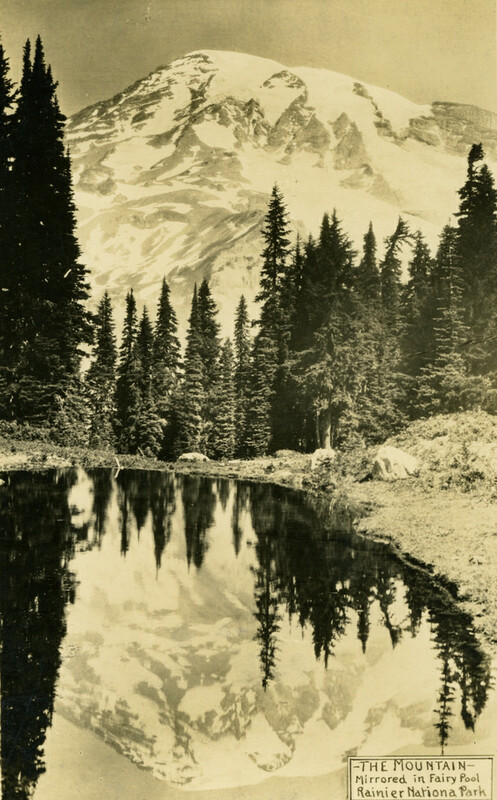 Click here to view the postcard likely used by the WPA artists for this design.